Antifungals SALE Anti-Itch, Antifungal Barrier, Antifungal Powder, Antifungal Cream, Antifungal Ointment, Antifungal Spray. 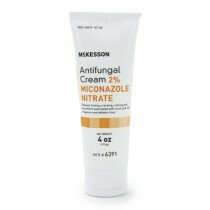 Antifungal Products come in many different forms, including creams, ointments, powders, sprays and barrier creams. Antifungus treatments can help block moisture that promotes fungus and can condition and soothe irritated skin. Itching, burning and redness can be treated with anti-itch antifungal treatments. Antifungal products are designed to treat the infection site, keep the infected area dry and speed up the healing process. Vitality Medical carries a wide variety of anti-itch and antifungal treatments Baza, GeriCare, Miconazole, Micro Guard, Tinactin, DermaFungal, Selan Plus, Cavilon and many more.